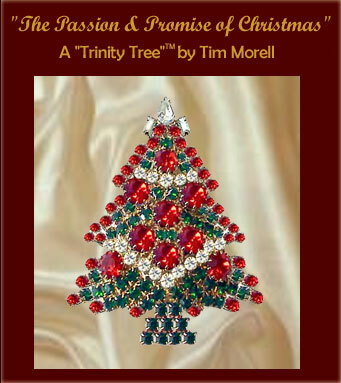 Hand set, 24 Carat gold (plated), Swarovski crystal Christmas tree pin, with a 3 part white crystal "TrinityTree" top. 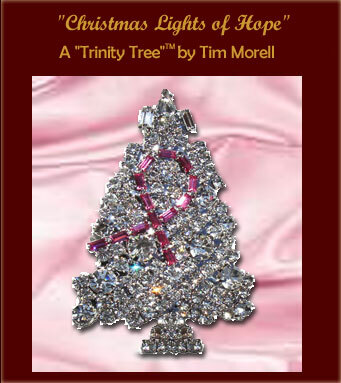 “Christmas Lights of Hope” features bright pink baguette bow near it’s heart to symbolize our hopes and prayers for all those affected by breast cancer. Copyright © 2004-2019 Tim Morell. All Rights Reserved.